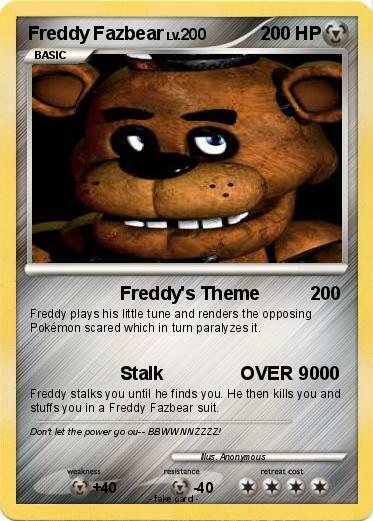 Freddy plays his little tune and renders the opposing Pokémon scared which in turn paralyzes it. Freddy stalks you until he finds you. He then kills you and stuffs you in a Freddy Fazbear suit. Comments : Don't let the power go ou-- BBWWNNZZZZ!